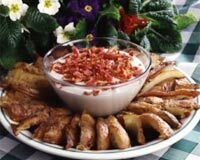 Our Cottage cheese recipe section contains a number of delicious cottage cheese recipes. Cottage cheese is known as Paneer and is used in number of dishes. Paneer is a rich source of protein and is very nutritious. 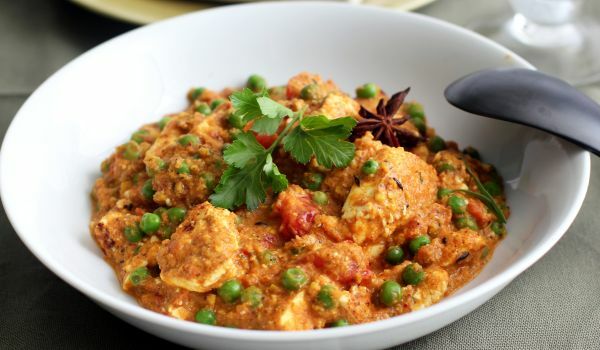 Try our Indian paneer recipes. 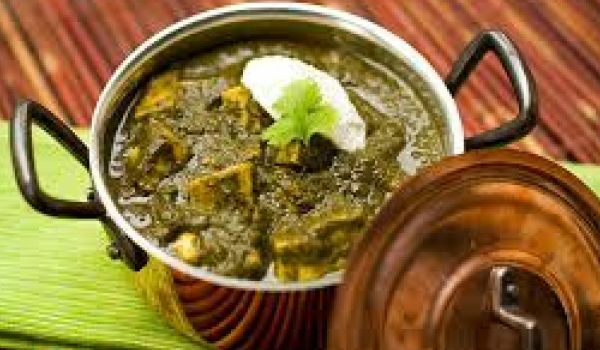 Palak Paneer is a popular dish in Northern India and the spicy dish is best consumed with roti, the Indian flatbread. 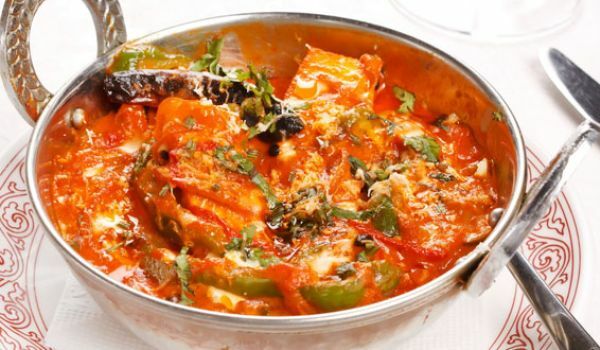 The paneer is allowed to soak in the flavours of palak and other spices by cooking it on a medium flame. Sounds enticing! 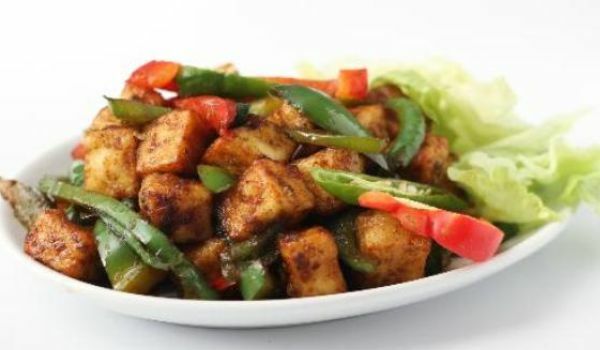 Chilli Paneer is a spicy oriental dish. Learn how to make/prepare Chilli Paneer by following this easy recipe. Cottage cheese marries fresh green peas so well, that matar paneer is the dish to whip up if you have both these ingredients in your pantry. Add in a few chopped coriander leaves for garnish and you have a success recipe for some happy tummies. Even if you are a non-veg fan, this dish will count as one of your favorite ones. 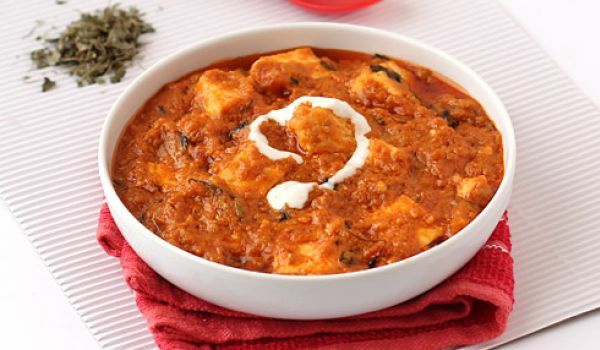 Paneer (cottage cheese) and the thick gravy made with a variety of spices and dry cashew nut paste indeed gives a royal feel and so the name 'shahi paneer'. 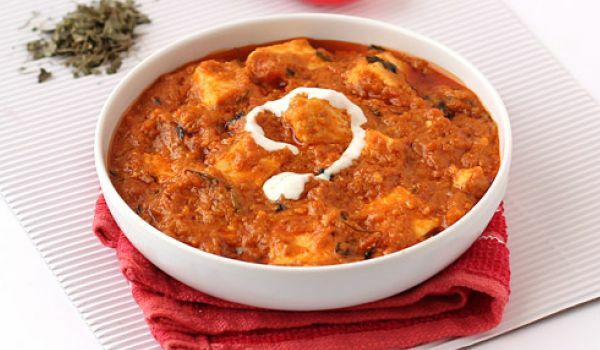 Make it and dive into a filling meal by devouring shahi paneer with any Indian bread. This typical Bengali sweet which drips of delicious sugar syrup with every bite is the pride of the state. One reaches a state of euphoria with every bite of this delectable sweet. 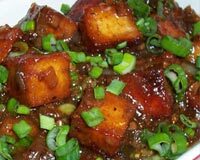 Chili Paneer is spicy recipe. Learn how to make/prepare Chili Paneer by following this easy recipe. A mildly spicy curry made with cottage cheese and capsicum, the Paneer Capsicum Masala can be devoured with Indian breads or rice dishes. 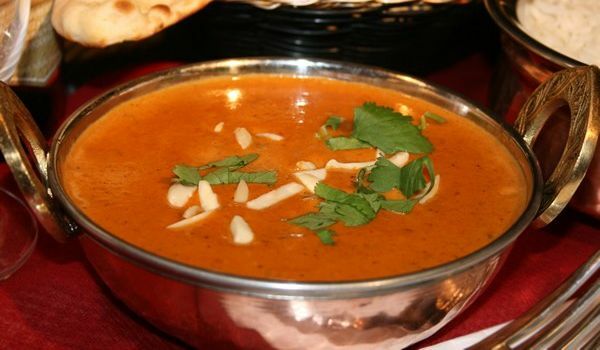 The thick gravy is prepared with a paste of cashewnuts, onion, coconut, coriander seeds and other spices. Stir fried Capsicum and Paneer are then added to the gravy and cooked till tender. Entertaining guests at home always seems like a mammoth task, but when you know how to serve up a Hariyali Paneer Tikka, it's like having the most efficient trick up your sleeves. Especially if you love vegetarian food. 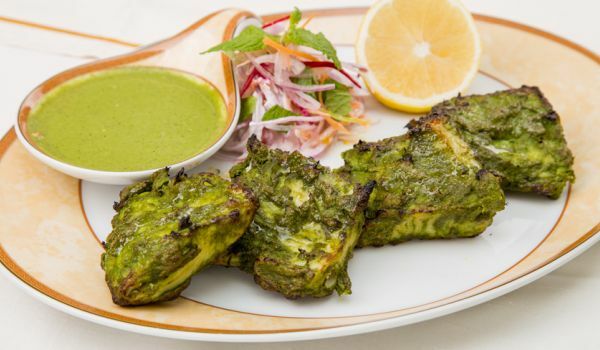 This recipe calls for succulent paneer cubes marinated in a blend of curd and coriander-mint paste and then grilled to perfection. Bread Cheese Pudding is a very popular recipe. 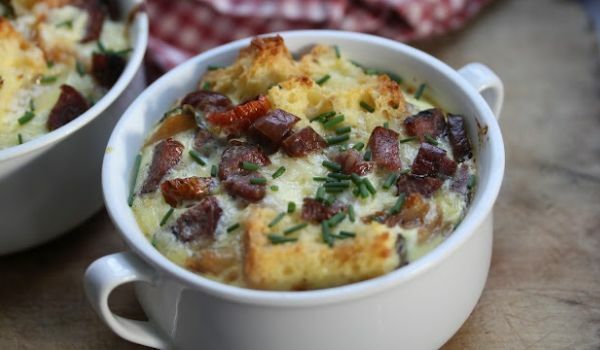 Learn how to make Bread Cheese Pudding by following this simple & easy recipe. 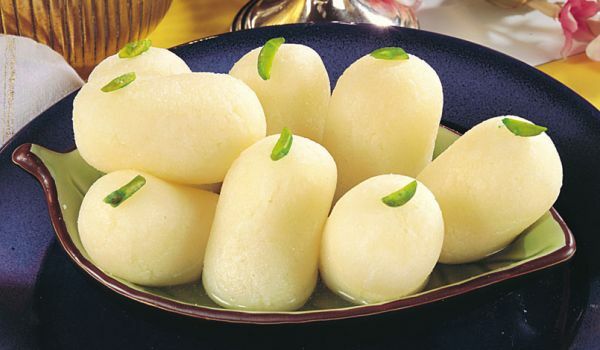 A typical Bengali sweet, the ooze of the sugar syrup at first bite combined with the softness of the cottage cheese is certainly a sweet one needs to try if they haven't. Miraculous in every bite. 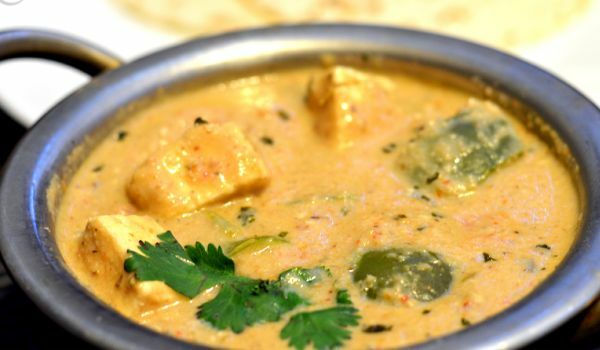 Butter Kaju Paneer is a creamy and rich gravy usually prepared for special occasions. Kajoo-chironjee paste, tomato puree, bread crumbs and an assortment of other spices impart it the desired consistency and flavor. It serves as a perfect accompaniment to both Indian breads and rice dishes. Every Indian household swears by the lip-smacking Pulao. Any get-together is incomplete without the Navaratn Pulao. The spices and dry-fruits used in its preparation lend it a unique color and flavor and it goes with any Indian gravy. 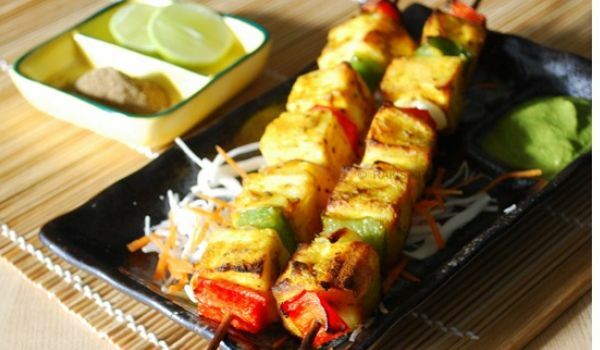 Paneer Tikka is the quintessential dish at Indian parties. Basted with spices and condiments the paneer or cottage cheese is grilled to impart it a charred texture and smoky flavor. Bell peppers can also be used in the preparation to impart it an appetizing look. It can be served with variety of dips. 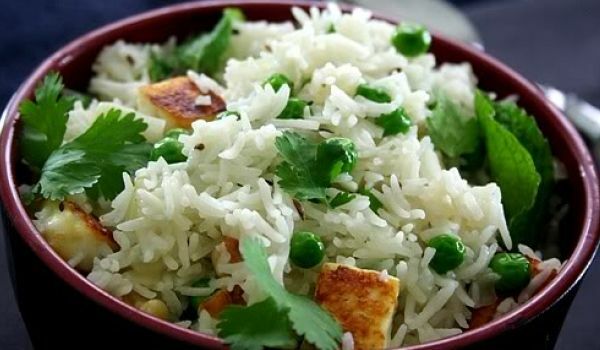 Paneer Pudina Pulao is a delicious vegetarian rice recipe. Learn how to make/prepare Paneer Pudina Pulao by following this easy recipe. This delicacy is an all time favourite among all Bengalies out there. 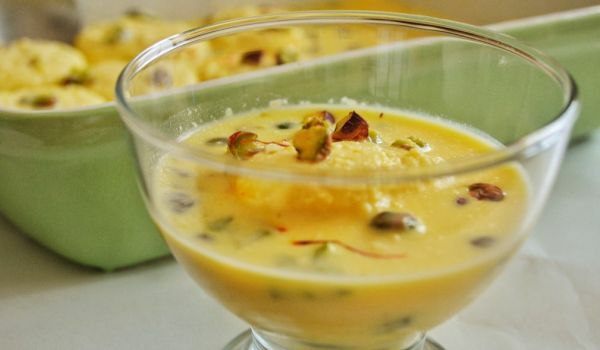 The best part is that it can be made in a matter of few minutes, with Cheena and milk. The after effect this dish leaves in your mouth is absolute heaven. 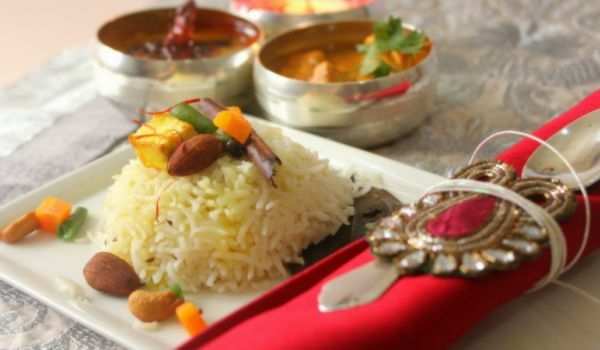 Raj bhog as the name symbolizes gives you a royal feeling. 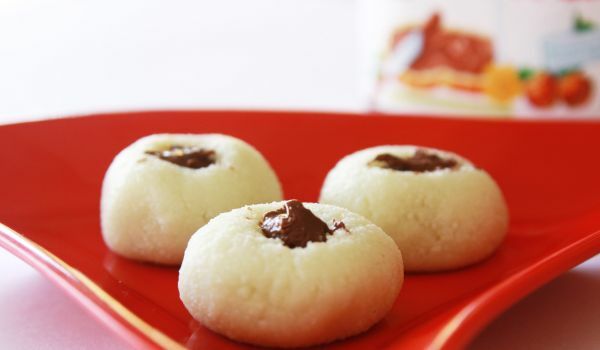 This plump dessert is made with cottage cheese which says that it is a healthy too. 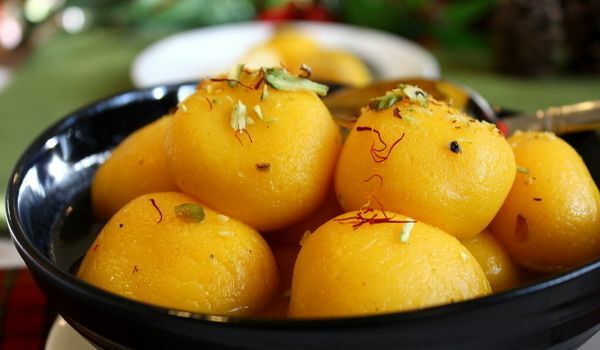 The golden coloured spheres are a must during festivals and it has such an easy recipe that you can make it at home without any hassle. The cottage Cheese, also known as 'Paneer, is an important ingredient of many Indian dishes and the Achari Paneer is no different in this regard. 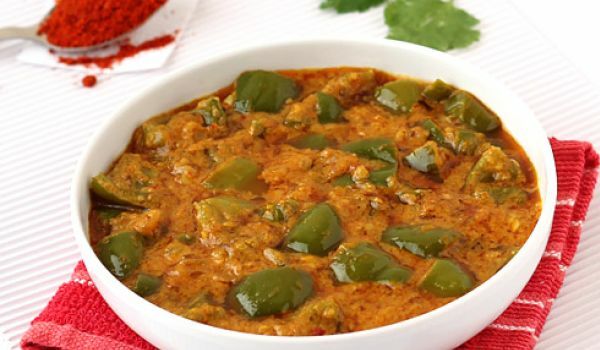 However, its tangy flavor has made this dish a favorite amongst foodies. For the best experience, one should try this dish with varieties of Indian bread like Roti. Looking for some easy to make num-nums? 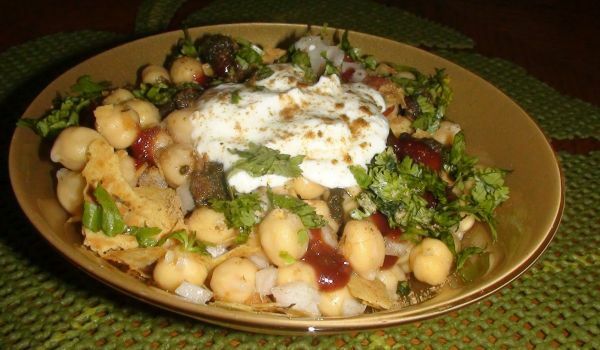 Why not treat yourself to the simple but tasty chana chaat? Yes, it takes only minutes to combine all the ingredients, and gives so much pleasure that you're going to actually rush to the kitchen for a second helping. 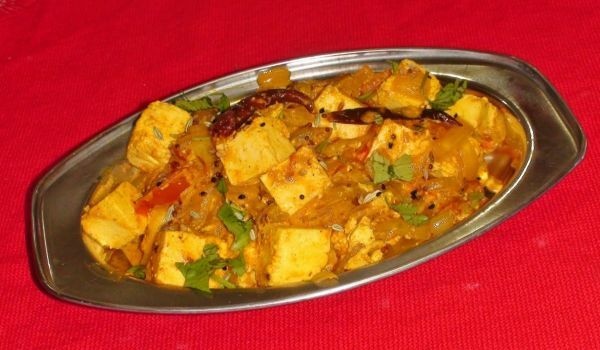 Paneer Peshawari is delicious Paneer dish in Peshawari style. 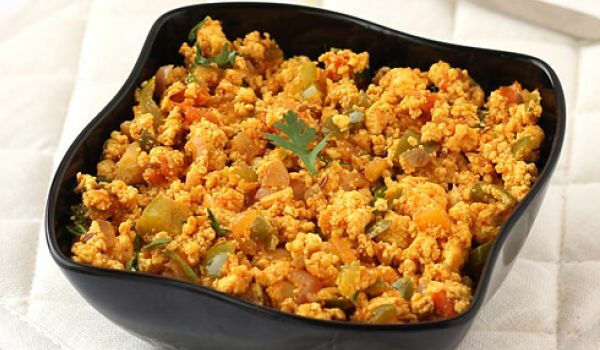 Learn how to make/prepare Paneer Peshawari by following this easy recipe. Paneer Sandwich is a delectable healthy snack ideal for a breakfast. Learn How To Make Paneer Sandwich by following this easy recipe. Make a light, colorful and fresh dish with cottage cheese and baby corn. 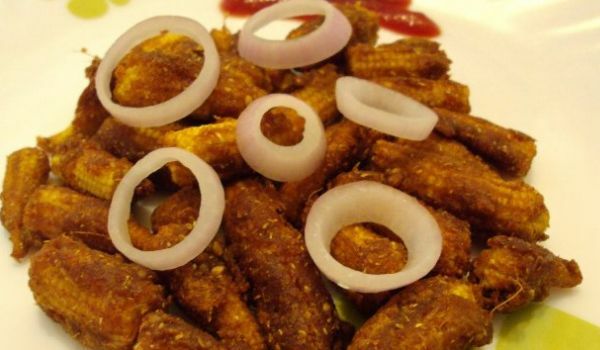 Learn how to make/prepare Baby Corn Paneer by following this easy recipe.